Quality, service and speed. These words characterize JS Laadtechniek like no other. Whether it is for the purchase, repair, maintenance or mandatory testing of your hydraulic tailboard, with years of experience and the high quality of JS Laadtechniek you have come to the right place. 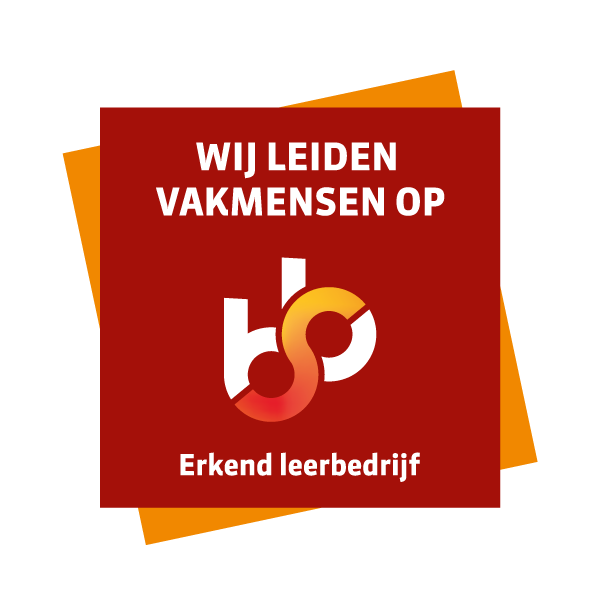 JS Laadtechniek can call itself the number one company available. A position we are proud of! Are you thinking of buying one or more tailboards? We help you make the best possible decision. That way you drive around with a tailboard that completely suits your situation and your needs. This is exactly what you can expect from us! With a mobile service available for you 24 hours a day, seven days a week, a possible problem with a tailboard is fixed in no time. In most cases, in front of your door. Repairs and maintenance can of course also be performed in one of our four workshops. With more than a thousand inspections a year, we are by far the largest company in theNetherlandsfor the required LPK (Tailboard MOT). In short: JS Laadtechniek, for loading with vigor! Websites are no longer viewed from computers only. With mobile technology is done so much more than we could ever think. That is why we had to make our website accessible for mobile phones. Together with our web designers Jem-ID from Honselersdijk we worked hard on our website and the results are impressive. You can reach our website from any mobile device with a single touch of the button. 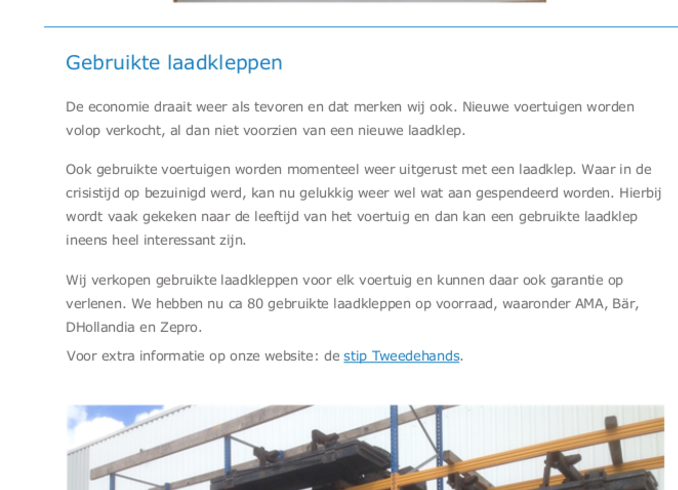 Find us at www.laadklep.nl, www.jslaadtechniek.nl, or www.laadklepservice.nl. Last year, there have been over 15,000 tailgate inspections in the Netherlands. Of these, 13,150 inspections focused on (freight) ramps and 1,850 inspections focused on lifts. The economy is doing well again and that is something we’ve noticed. Lots of new vehicles are sold, with or without a new tailgates. Even used vehicles are being equipped with a tailgates again. Where during the economic crisis expenses were cut, we can now luckily spend some money again. People often consider the age of the vehicle and then a used tailgate can be suddenly become very interesting. We sell used lifts for each vehicle and can also provide the warranty. We now have about 80 tailgates in stock, including AMA, Bär, DHollandia, and Zepro. For additional information on our website, go to the Used section. At JS Laadtechniek it also sometimes happens that older people want to slow down a bit. After Alma Hanemaaijer in 2013, now Gerrit is ready to use his retirement possibilities. Gerrit’s hobby is to now and then climb on a truck and make a nice trip to Sweden. Now that he has more free time, you may bump into him on the road somewhere. Gerrit Boers his position has been filled by Arie Moerman. Arie comes from the world of transport and is no stranger to most. After a job as a mechanic at Gordijn Transport and years as a fleet manager at Maarten Mooij Logistics, Arie now starts here in Maasdijk. After an internship of 4 months, Arie had enough experience to start working here. Another advantage is that his hometown is nearby and his bike can easily handle the ride. Because Arie is responsible for all workshops, he also joined the MT. If you have questions or comments, please don’t hesitate to contact Arie.